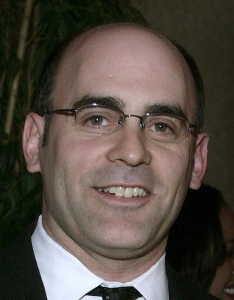 Andrew H. Tarsy's firing sparked a backlash. "My reaction is that this was a vindictive, intolerant, and destructive act, ironically by an organization and leader whose mission -- fundamental mission -- is to promote tolerance," Newton businessman Steve Grossman, a former ADL regional board member, said yesterday. "I predict that Foxman's actions will precipitate wholesale resignations from the regional board, a meaningful reduction in ADL's regional fund-raising, and will further exacerbate the ADL's relationship with the non-Jewish community coming out of this crisis around the Armenian genocide." Tarsy, 38, said he had been struggling with the national position for weeks and finally told Foxman in a phone conversation Thursday that he found the ADL's stance "morally indefensible." The regional board's executive committee backed Tarsy and, according to a source fa miliar with the discussion, even went a step further, resolving to support legislation now pending before Congress to acknowledge the deaths of 1.5 million Armenians during the World War I era as genocide. The national office's three-page response -- which it provided yesterday to the Globe -- did not mention the local office's intent to support the legislation. But it made clear just how far apart the two sides were on an issue with local, national, and international implications. The letter, signed by Foxman and Glen S. Lewy, the ADL's national chairman, said "we have acknowledged the massacres of Armenians at the hands of the Ottoman Empire and called on Turkey to do more to confront its past and reconcile with Armenia. We will continue to press Turkey, publicly and privately . . ." But the letter also makes clear that the national ADL feels the safety of Israel, which considers Turkey a rare Muslim ally, is paramount. The national ADL leaders also said employees who do not agree with the ADL's position should not differ pubicly, but should resign. "No organization can or should tolerate such an act of open defiance," the letter said. Asked how they would resolve the difference of opinion, both local and national leaders said they did not know. "They've taken a position," Foxman said in an interview. "We've taken a position. I hope they will read our position and hopefully we'll have conversations." Tarsy's firing -- and the national office's rebuke of the local office's independence -- marked the latest twist in a debate that began weeks ago in Watertown, home to more than 8,000 Armenian-Americans. Residents there became angry when they learned that the ADL was the sponsor of the town's anti-bigotry program "No Place For Hate" and, on Tuesday this week, the Watertown Town Council voted unanimously to pull out of the program. At issue was not the program itself, but rather a tangle of international politics dating back more than 90 years. From 1915 to 1923, Ottoman Turks massacred as many as 1.5 million Armenians in what is now modern-day Turkey. Armenians, historians, and some European nations have recognized the killings as genocide. But the Turkish government has refused to accept the genocide label and the national ADL refuses to use it as well. In a 438-word open letter slated to appear in advertisements inside local newspapers beginning next week, the ADL does not use the word genocide. Officially, Foxman reiterated yesterday, the ADL has no position on the genocide issue. But it does not support the legislation in Congress. In the open letter yesterday, the ADL called it "counterproductive" and the organization, founded in 1913 to fight anti-Semitism, worried what effect passing the legislation would have on Jews living in Turkey. Critics say this position is hypocritical. Foxman "should understand that the truth of any genocide is not conditional upon political relationships," said Aram Hamparian, executive director of the Armenian National Committee of America in Washington, D.C. Rather, he said, it should be dictated by "truth" and "history." As recently as Tuesday night, however, Tarsy defended the ADL's position before a hostile crowd at the Watertown Town Council meeting. In explaining why he did it, Tarsy said yesterday that he was doing the best he could to explain the ADL policy while struggling at the same time to change the policy internally. Neither side would back down and he was fired. "I have been in conflict over this issue for several weeks," Tarsy said. "I regret at this point any characterization of the genocide that I made publicly other than to call it a genocide. I think that kind of candor about history is absolutely fundamental." Both the Jewish and Armenian-American communities rushed to Tarsy's defense yesterday in the wake of his firing and applauded him for taking the stand that ultimately cost him his job. "I'm devastated to hear the news," said Ronne Friedman, senior rabbi at Temple Israel, the largest synagogue in Boston. "I think he's really a quality professional and a wonderful person of conscience. I think it's an inexcusable behavior on the part of the national office." Grossman said Tarsy provided "moral leadership" and surely would have invigorated a new generation of ADL members in New England if he had been given the chance. Hamparian said it spoke poorly of the ADL's national leadership that Tarsy "was not rewarded, but fired for speaking the truth." And James Rudolph, the ADL's regional board chairman and partner at a Boston law firm, said he would miss working with Tarsy. "I'm disappointed," Rudolph said. "He was an extraordinary leader and I'm sure that a lot of people affiliated with the board and affiliated with the ADL share my disappointment." Rudolph, like Foxman, said he is hoping to have further conversations with the national office in the days ahead regarding the differences between them. But they will be doing it without Tarsy, who said that he has no idea what he will do next. "I have the greatest respect for the ADL and for its staff and leadership," Tarsy said, referring to the people he has worked with in the regional office over the years. "And I want very badly to see the ADL do what's right on this issue."